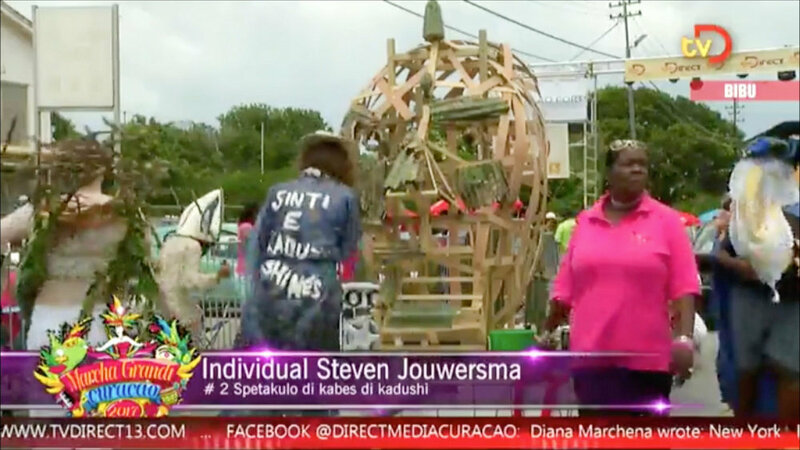 As a performance I made a sculpture from cacti during the carnival parade in Willemstad, Curacao. 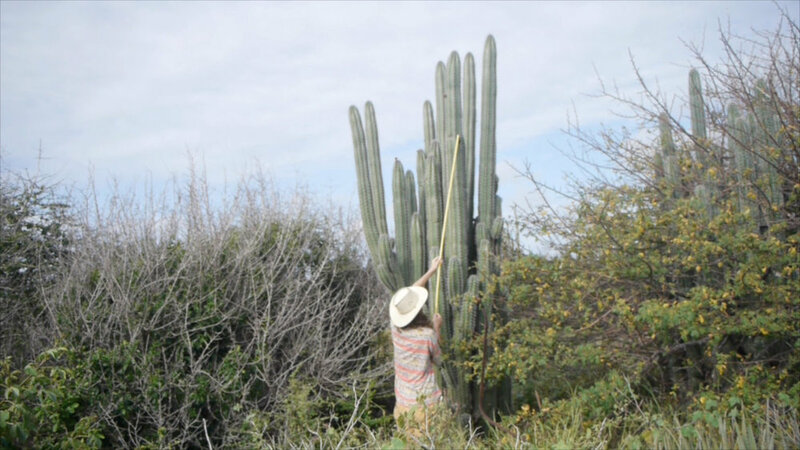 With local permission I cut down a 4,5 meter cactus of about 1000 kilo, these big cacti are seen on the island as a weed and grow everywhere. After some experimentation I found a way to hollow out the cactus and harvest cactus skin. 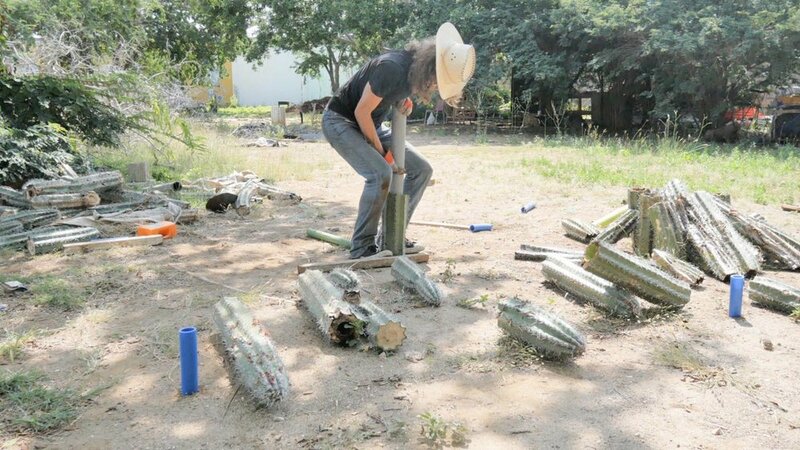 I screwed the rotting pieces of cactus skin during the parade on a wooden structure in the shape of a skull. 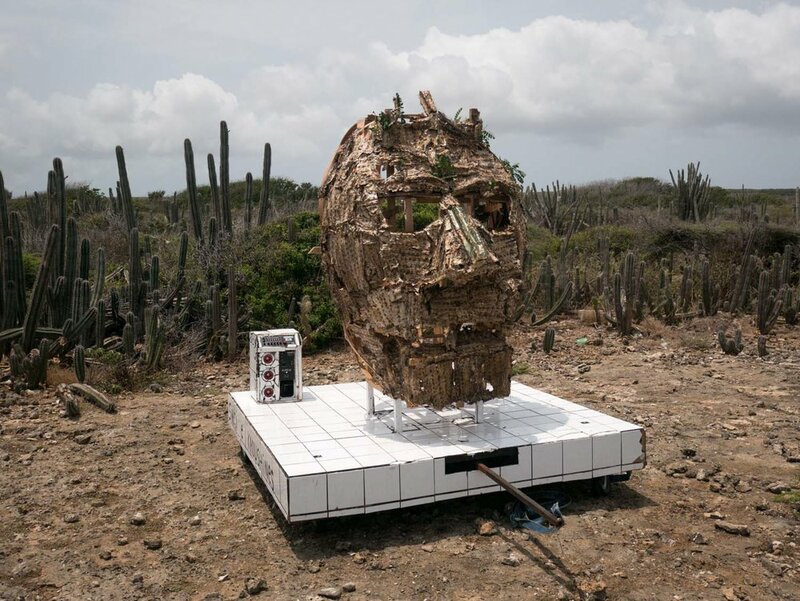 This performance can be seen as a ritual of some sort by transforming unwanted material and by doing so evoking and cleansing negativity into the form of a cactushead that with his moving jaw is grinding the negative energies away. 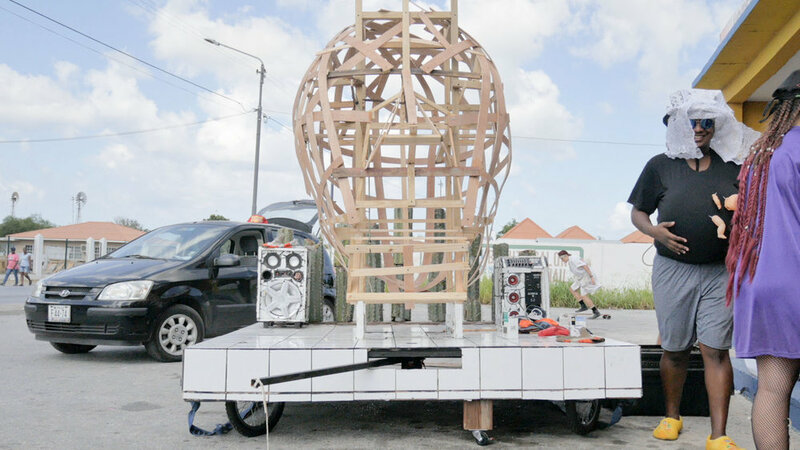 The sculpture was later displayed in the center of Willemstad at Casa Moderna. Many thanks to all the people involved with pulling, pushing, driving, cutting, presenting and dancing.